Why Interfinet Technologies, Bhubaneswar is a better choice for Website Apps Development Outsourcing Services? Bhubaneswar, India: Bhubaneswar based Software Development Company, Interfinet Technologies (Interfinet.Com), with more that 10+years of professional expertise in developing Ecommerce Web Applications, Designing and promoting Mobile/smart phone friendly websites is delighted to publicize one of its outsourcing partners proclaim document published (on page 27, 28, 29) in Scribd.Com - the popular digital documents library & the open e-book publishing platform. Here is the complete case study headlined under “Beyond the Metros - UK Business Success in India’s Emerging Cities” organized by “UK INDIA BUSINESS COUNCIL” association with UK Trade & Investment Department. Answer: Interactive Ideas is a value-added software distributor based in the UK with distribution activities across Europe. The company holds a leading position in the distribution of Linux and Open source software and we work with major software manufacturers such as Red Hat, SolarWinds, JBoss and Novell, among many others. Interactive Ideas helps manufacturers develop a channel of resellers and we leverage sales through the use of marketing, technical resources, accounting and credit risk into the IT channel. 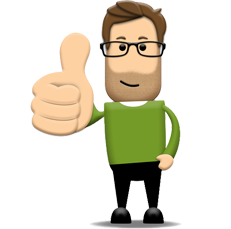 Our customers include over 2,000 corporate, government and IT resellers in the UK. Question 2: When and where did you make the first investment in India? In which cities do you currently have business relationships and/or business activity in India? Answer: We started with an outsourcing partner based in Bangalore for the development of a website. That partnership ended after one year and we now have a new partner, Interﬁnet.Com, based in Bhubaneswar. Question 3: What were the main drivers of your decision to do business in an emerging city and how did you learn of this opportunity? Answer: When looking for ways to better leverage our budget, we experimented with outsourcing projects in India and Ukraine. In India, we initially partnered with a company in Bangalore but the relationship ended after one year as we had grown fairly dissatisﬁed with the partner owing to a combination of technical and cultural issues. Our business is constantly approached by prospective partners but we found our current partner Interfinet Technologies through social and business networks. 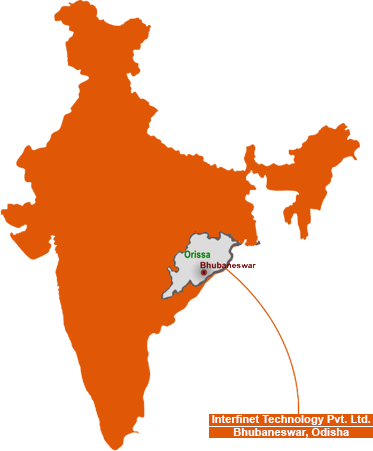 The main reason to move to Bhubaneswar was our partner. While we had experienced some hindrances to doing business in a large city like Bangalore (mostly heavy traffic), we would not have changed locations if we had had a satisfactory business relationship there. Answer: We first gave our local partner a small test project; we visited them and established the relationship. They started by doing outsourcing for our own systems but little by little we gave them more mission-critical work. Knowing that they would be doing critical work, we decided we wanted to make them shareholders in order to provide us with management say and to ensure that they had financial stability. Interfinet.Com now delivers services to our customers remotely, provides support and customization of products and employs dedicated staff exclusively for Interactive Ideas. We have also helped them develop their business in the UK. Answer: There were no direct flights between the UK and Bhubaneswar previously, so every time we go there it takes a day of travel and an overnight in Delhi in each direction. There were also problems with infrastructure when it comes to electricity supply, so we often use generators, which are inconvenient and costly. Now days energy supply and flight communication is not an issue in Bhubaneswar. Question 6: Has the market in emerging cities met with your expectations? Answer: At the moment we do not sell products in India. Our partner Interﬁnet does sell products but they do not distribute Interactive’s software in the country. In the future we may consider distribution in India. A high level of trust between the partners. I have been to Bhubaneswar on holidays with my family and spent time with Interﬁnet’s owners and senior staff. Personal relationships are very important in India. After our initial partnership experience in Bangalore, we deliberately chose a smaller and younger company to partner with, placing ourselves in a position to inﬂuence the business culture within the company. A mutual understanding of processes between the partners is very important. We visit our partner twice a year. Pool of talent is smaller in Bhubaneswar but retention of staff is better and there is more stability. Retaining staff is very difficult in big cities where people hop from job to job. Travel: traffic conditions in a smaller city are much better. If you get stuck in traffic in Bhubaneswar, you will be delayed about 20 minutes, whereas in Bangalore or Mumbai it could be up to 3 hours. Bhubaneswar is smaller, newer and a more modern city. It is more set up for cars and is a more relaxing place to go. Answer: We did not encounter any such problems and setting up our business in India was fairly straightforward. IT, however, is quite an exceptional sector and our investment was relatively modest. We are not controller shareholders. Question 10: What is your candid view on future opportunities for your business in other Indian emerging cities? Answer: When sourcing from India, it is perhaps best to do it from one location. We might look at expansion once we reverse the ﬂow and start selling our supply software in the country. Then there will be a need for multiple locations. Question 11:Given your experience in India’s emerging cities, what advice would you offer other companies seeking to enter this market? Favour an emerging city because so much of your business in India is relationship-based. You need a medium-term view, so you want to make sure there is relative stability in the staff. A medium/small-sized city is more likely to offer you that stability. The biggest problem in India is communication. We think they speak English and they think they speak English, but actually it is quite different English. In the UK we have high expectations that we will be able to communicate effectively because we share a common language but you have to be more self-aware. Recognizing that the cultural aspects of saving face often mean people won’t ask questions and won’t say if they do not understand something, you have to address issues in a culturally sensitive way to avoid misunderstandings. Interfinet Technologies is an emerging website design, web applications development and digital marketing solutions provider for B2B & B2C ecommerce portals. Its unique cross breed e-commerce and content management system helps customer to manage the enterprise as per demands of end clients. Its cost effective web solutions & expertise on digital marketing techniques are getting a buzz among its clients present all over the world especially in USA, UK, Europe, Australia and Japan. Interfinet Plans to Create 100+ new Jobs in Bhubaneswar Area by 2017 June. Bhubaneswar, India. - India based Software Development company named Interfinet Technologies Private Limited. (http://www.interfinet.com), a leader in Ecommerce application development, has announced its major expansion plan for its development center based at Bhubaneswar. City based IT company who has recently overhauled its company positioning & brand as a 360 degree digital marketing company. Currently company serving its 60 SME clients in the area of B2B & B2C Ecommerce, CRM, Content management, Website Design, PHP Web Apps Development, SEO & Linux based remote Infrastructure management. Majority of its clients are based at USA, UK & APAC area. Interfinet Technologies is a leading service provider of B2B & B2C ecommerce solutions for various ecommerce portals. 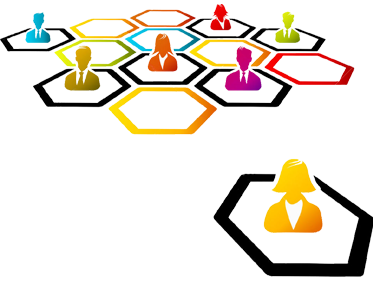 Its unique cross breed e-commerce & content management system helps customer to manage the enterprise as per demands of end client. Its cost effective solutions & expertise on digital marketing techniques are getting a buzz among its clients.